Last Saturday, when the Olympic torch toured the Stratford neighbourhood of Olympic borough Newham, local residents of the nearby Carpenters estate took the international press round to reveal a side of the Olympics which is largely hidden from the public eye. Newham Council is in talks with University College London (UCL) to construct a university campus on the estate, located a stone throw away from the Olympic park. The plan is remove the residents and demolish the estate, to great dismay of many locals. Carpenters is a tight-knit community and many residents have lived in the estate for decades. Some residents have already been moved off the estate, consisting of 270 low-rise terraced homes and maisonettes and three tower blocks. The council has rented out the top five stories of two of the partly decanted tower blocks to BBC and Al Jazeera for the Olympics. Al Jazeera has even built a studio on top of one of the blocks. The local authority, which has a housing waiting list of 28,000, has so far refused to disclose the financial details of the agreement, but it is certain they are being paid generously by these media organisations for the use of the former council flats. This is what happened when Colin Green, who owns a flat in the tower block overlooking the Olympic site, tried to show journalists around his home. And when our group of journalists got to the top of the building, we were again denied entry by BBC security, even after we made clear that we had permission to enter the property of Warren Lubin, a resident on the 24th floor of the tower block. Needless to say, there is no law preventing media entering a social housing block, particularly when invited by one of its residents, so eventually security had to let us through. The empty council flats have been rented out without consultation of local residents. 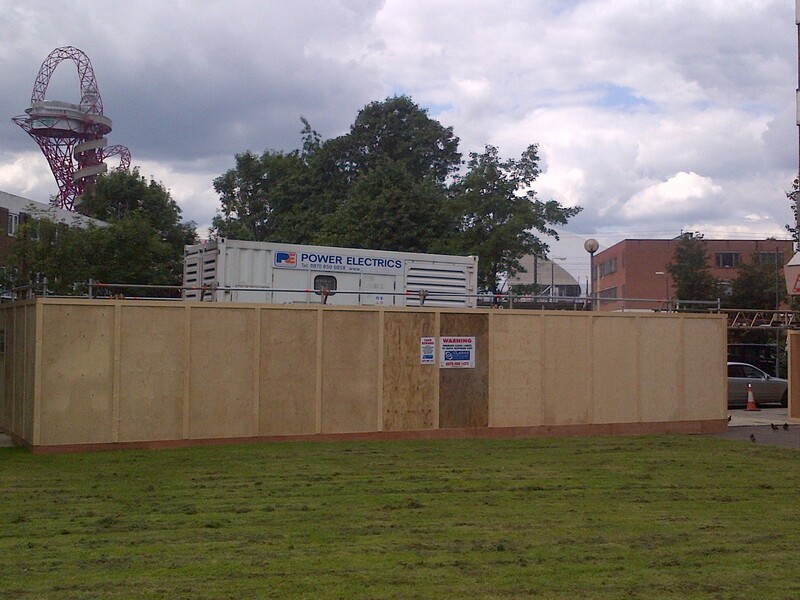 Residents were also not consulted on the installation of a massive back-up generator on green space by the BBC. 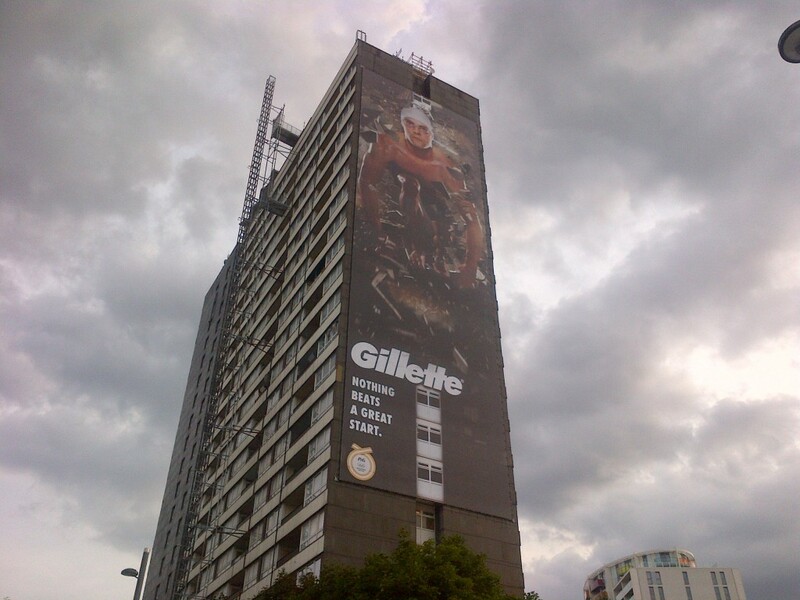 Neither was it agreed with residents that enormous sponsorship banners would be hung off the tower blocks â€“ turning publicly owned housing blocks into giant Gilette adverts. Welcome to the Games. A local campaign, Carpenters Against Regeneration Plans (CARP), is determined to fight for the best deal they can get for local residents. 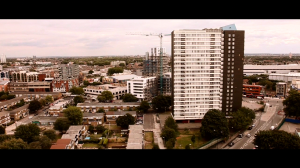 They want their homes to be refurbished and their community to remain intact, or, if demolition does go ahead, they want a guarantee from Newham Council that they will be able to remain to their local area and for tenants to keep their secured tenancies.